From cuisenaire rods to base-ten pieces, manipulatives are a CRITICAL part of our primary classrooms. They offer students a real, hands-on way to explore a mathematical concept and build their own meaning. The CSA model of mathematics has us moving students from the concrete to the semi-concrete to the abstract when introducing and teaching new material. When students are struggling at the representational/abstract level, we always move back and build concrete experiences with mathematics. 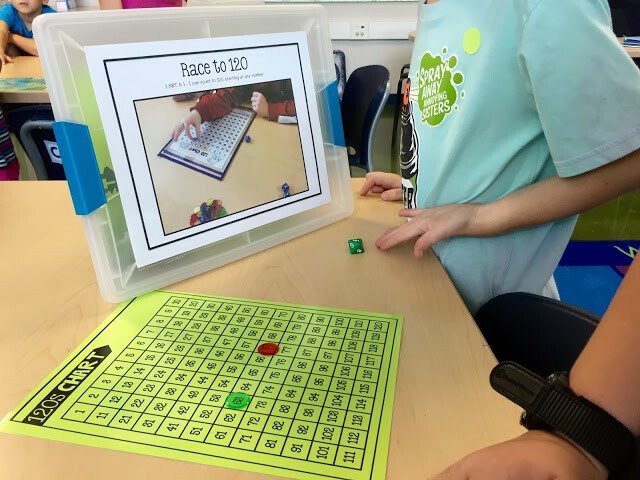 Students need hands-on ways to interact with math. 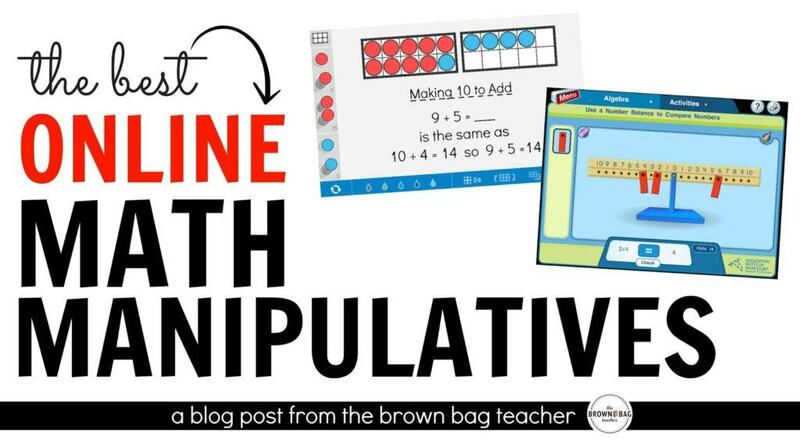 Online manipulatives are internet-based math tools that allow for whole-class modeling (led by students or teachers) moving students from the concrete to the representational mode of thinking. 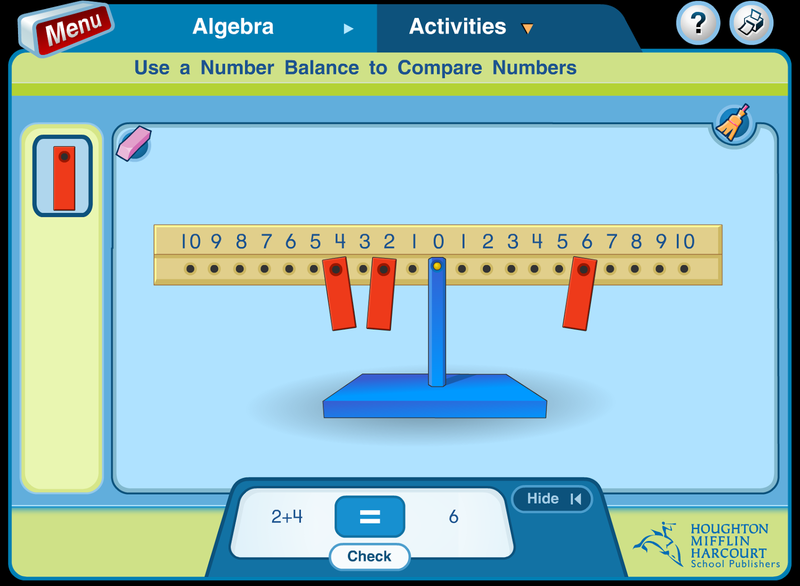 These math tools are often free resources sponsored by textbook companies and other organizations to generate alternative ways to represent math content. 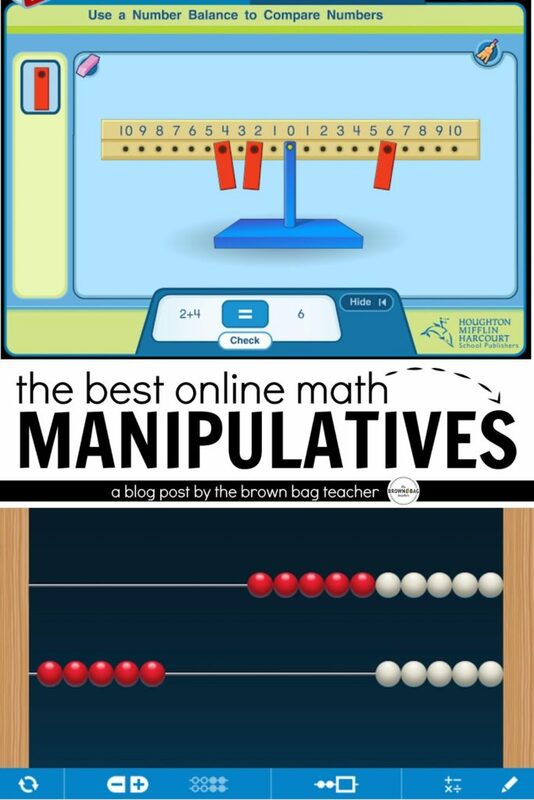 There are SO many ways to use online math manipulatives. Math manipulatives can be SO expensive! Online manipulatives give students and classrooms access to a variety of math tools without having to invest in them, perfect for at-home learning and practice. 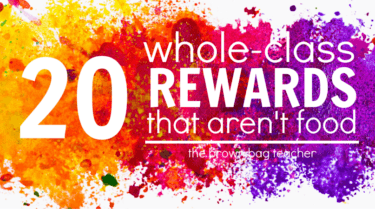 Today, I am going to start by sharing websites with the greatest number of resources and then, highlight a few specific learning tools within websites. Think Central, a free resource from Hardcourt, offers K-12 teachers resources to accompany their math textbook. 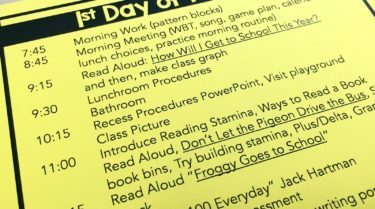 Our school does not use a prescribed curriculum, but still we love having access to these free resources. 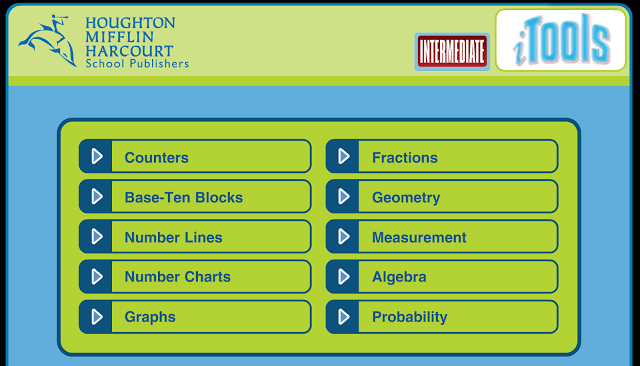 From basic math concepts to middle-grade geometry and algebra, Think Central is thorough (remember – it’s intended to supplement a textbook so it has a HUGE catalog of resources). I really like these manipulatives and workspaces because within each resource there are lots of bells and whistles. The different options offered within each section closely match specific skill and strategies introduced in the classroom. These manipulatives are perfect for mini-lessons! Although we try to do most of our number talks mentally, I do love pulling out the number balance for 1st grade algebra. This can be such an abstract concept for my 1st graders and being able to easily manipulate a scale (without having to make sure it is initially balanced) helps simplify balancing equations! The Math Learning Center offers web and app-based manipulatives – with the best resources for building number sense. The Math Learning Center provides easy to use number-sense building manipulatives – abaci, ten frames, hundreds charts, etc. Personally, this is the most visually appealing of the online manipulatives The colors are bold, allowing students to visually differentiate between different numbers and concepts. Plus, the bottom dashboard makes flipping, copying, and writing on the screen simple. We love using rekenreks in the classroom and the MLC offers a great online-component for this learning tool. Glencoe has an awesome collection of grade-specific thinking mats named “backgrounds” that you can interchange with a huge bank of manipulatives. 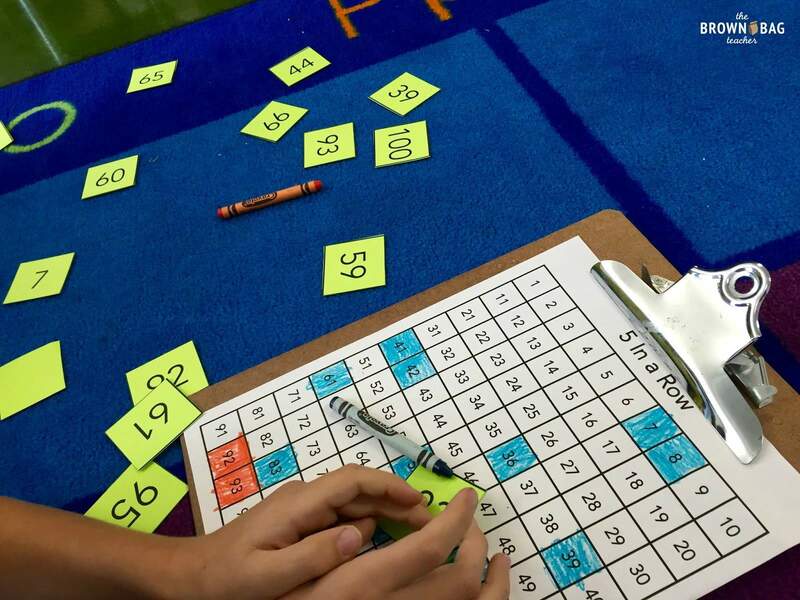 From Part, Part, Whole mats to fraction unit tiles, Glencoe has ALL the materials needed to demonstrate Common Core math strategies and concepts. There aren’t as many bells and whistles (pens, markers, flexibility) but in terms of content, it’s thorough. 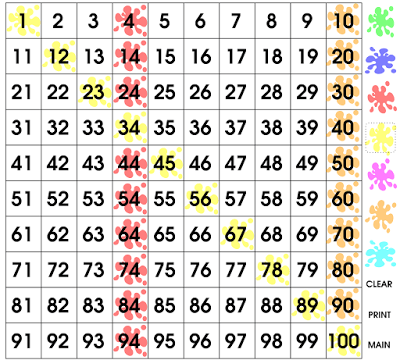 For the first few weeks of school our 1st grade focus is recognizing number patterns on the 100s chart, as well as, ‘before’ and ‘after’. My go-to 100’s chart is SPLAT online! We turn this online resource into a game, playing as a class on our SMART Board. Using different paint colors, students can visualize patterns on the chart. 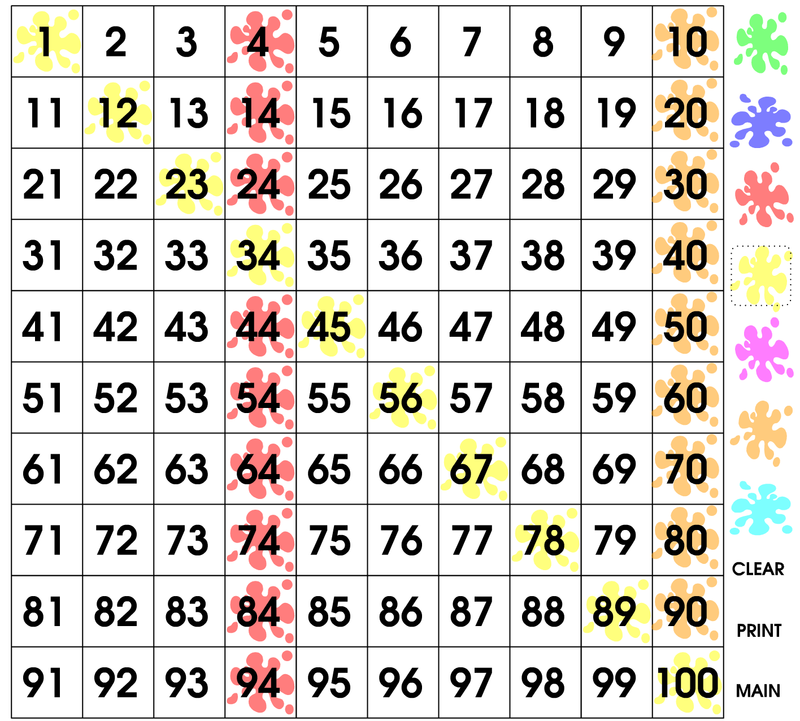 Another variation on the game is having students take turns making number puzzles, “I’m think of a number that is one more than 15.” Everyone would circle it on their 100s chart (at their desk using a dry erase marker) and then, one special friend would SPLAT a number on the board. A number line is such a valuable tool especially as I am weaning my 1st grade friends off of their fingers for counting. 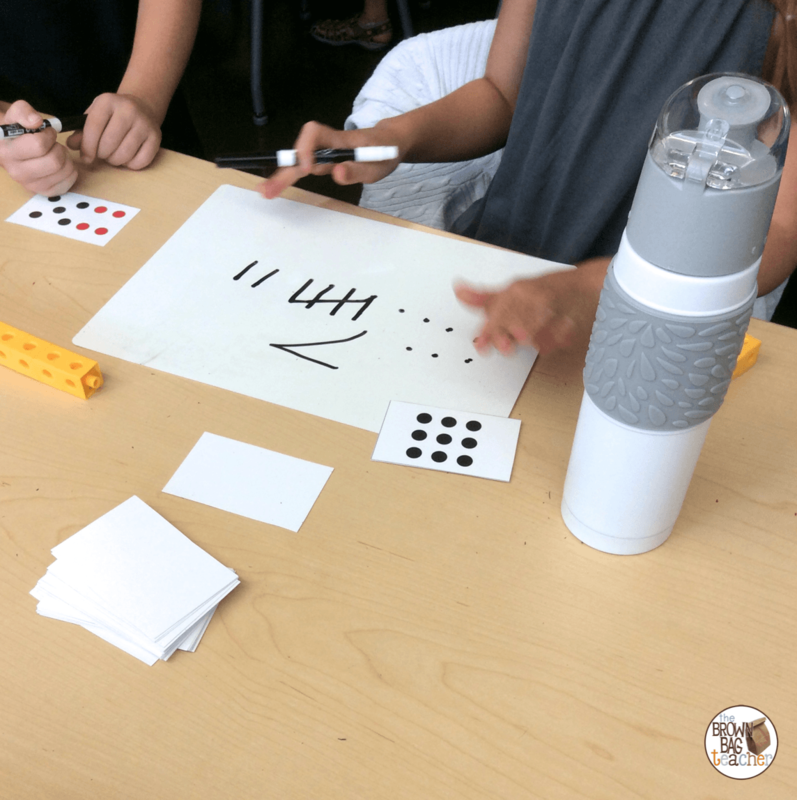 It offers familiarity and comfort but allows students to work with larger numbers. 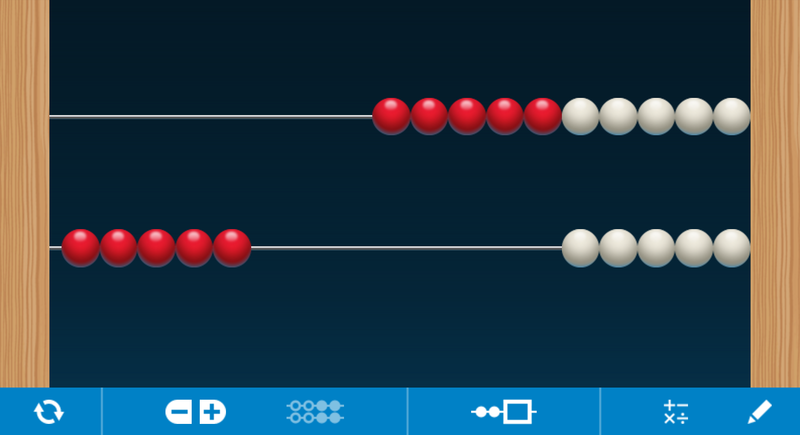 EduPlace‘s Number Line is one of my go-to resources because of its flexibility. 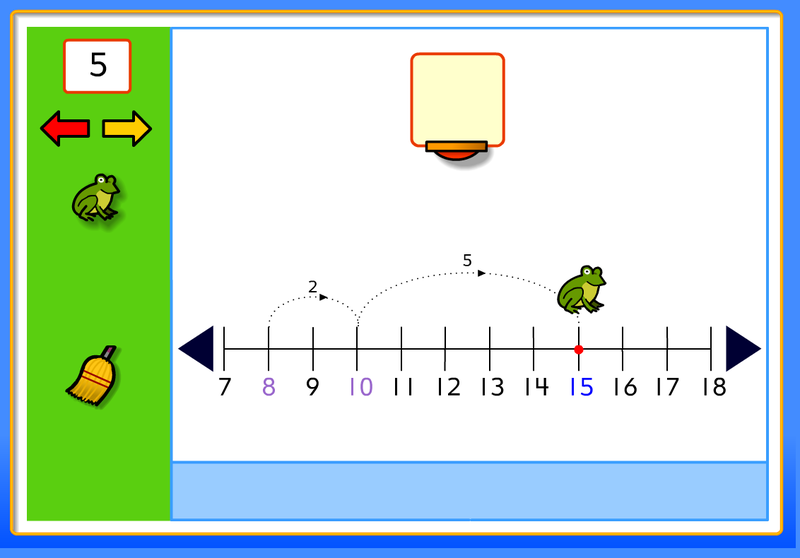 (1) The number line continues to any number by clicking the black arrows…even negative numbers (2) Hops can be made in any increments which makes it great for introducing open number lines. As students become more comfortable with the number line, they can take larger hops (2, 5, 10, etc). 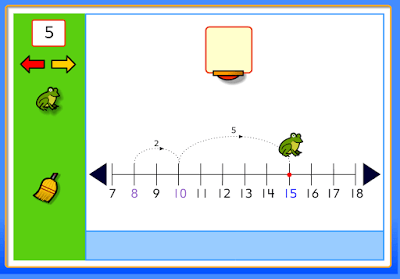 This is a perfect number line to explore number relationships and compose/decompose numbers! 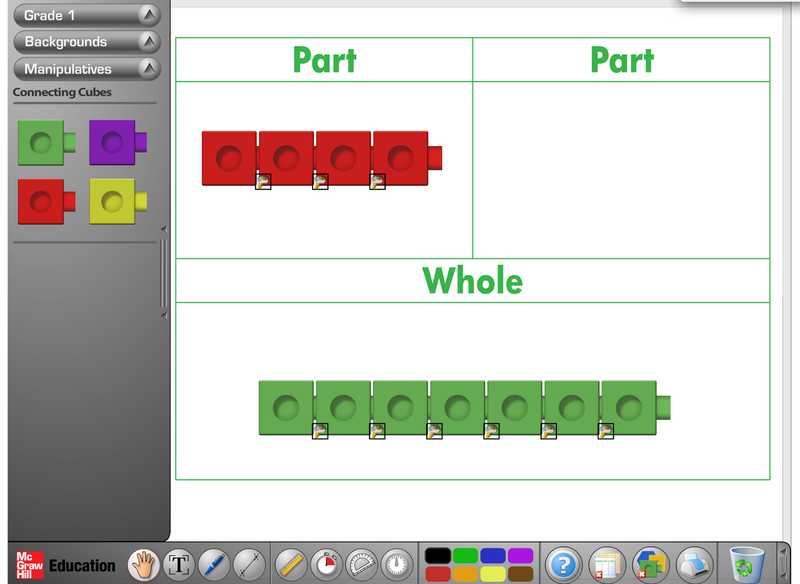 Online manipulatives offer a perfect transition from concrete to representational math thinking. 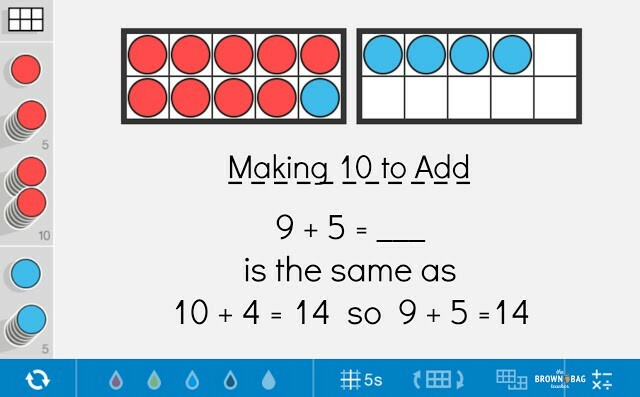 They can provide an important scaffold in math thinking and offer students a way to show their thinking when words or numbers aren’t just-right. 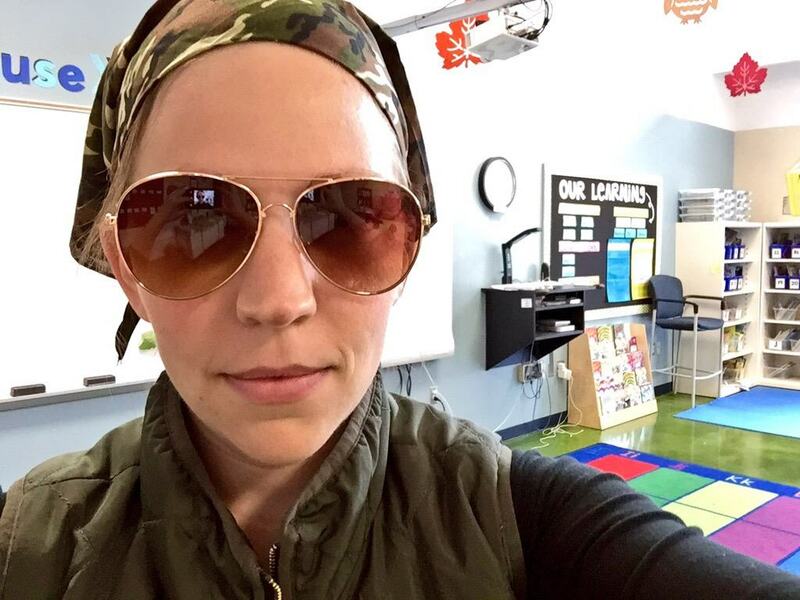 I’ve shared some of my favorite online manipulatives and would love your perspective. 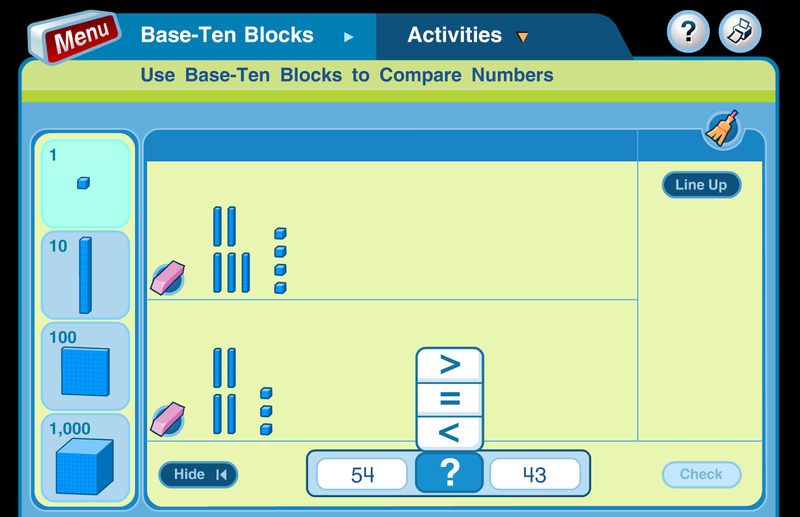 What are your go-to ways to use online math manipulatives? 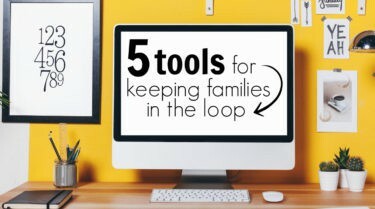 What are your favorite websites or resources? 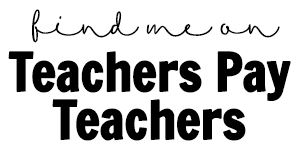 I’m always looking for other resources and would love to hear what works in your classroom! Glencoe Math has ALWAYS been my fave 🙂 I have never heard of Think Central. Checking it out now:) Thanks for sharing! Based on your information provided, I would suggest having an online discussion on the essay writing service. 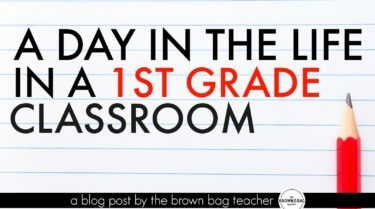 I will suggest your blog to students having focus on creating a well researched content on a topic. These are awesome! THANKS SO MUCH!!!!!! Thank you for taking the time to share about your routines and resources! 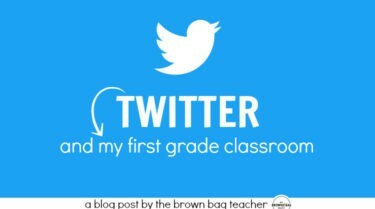 I am a 1st year teacher and I have found great guidance and support in your website! ¡Gracias! 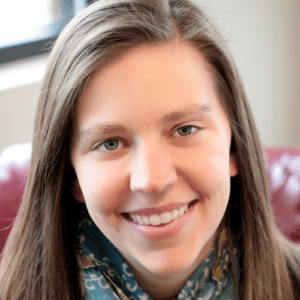 Your blog has been so helpful to me this year! I have been struggling to use Guided Math with my very wide range of students this year, but you have given me so many great resources and ideas! Thank you so much!